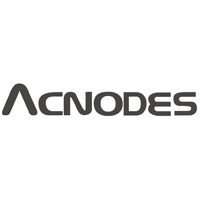 Acnodes manufactures, designs and markets industrial computers and display solutions for diverse industries ranging from automation to military. We have an array of technological innovations in the area of rack mount servers, embedded computers, Panel PC's and rugged monitors that created simpler and more valuable products to the customers. We work closely with our clients to customize computer products to meet their required projects and challenges. Acnodes strives to explore new technologies to better improve life and work. The company is quick to insert state-of-the-art technology in deployed computing requirements. Using skills that embrace customer specific platforms, Acnodes development team has raised the benchmark for producing solutions for fielded computing environments. As new technology becomes available, Acnodes' customers are ensured to stay in-line with the latest advances in the computing industry.